When a business buys particular pieces of equipment, it typically gets to write them off through depreciation over a period of time. Of course this is preferable vs. no write off at all, but most business owners would really like to write off the entire equipment purchase price for the year they buy it. And that’s exactly what Section 179 does – it allows a business to write off the entire purchase price of qualifying equipment for the current tax year. This advantage has made a big difference for many companies, and the economy at large. Businesses have used Section 179 to purchase necessary equipment right away, instead of delaying the purchase. For the majority of small businesses, the entire expense of qualifying equipment can be written-off on the 2018 tax return (up to $1,000,000). This deduction is good on new and used equipment, as well as “off-the-shelf” software. To take the deduction for tax year 2018, the equipment must be financed or purchased and put into service between January 1, 2018 and the end of the day on December 31, 2018. There are limits in place for Section 179 – such as caps to the total amount written off ($1,000,000 for 2018), and limits to the total amount of the equipment purchased ($2,500,000 in 2018); this threshold makes Section 179 a bonafide small business tax incentive. But this doesn’t mean that larger businesses are left out to dry. Passage of the ‘American Taxpayer Relief Act’ allows businesses that exceed the $2,500,000 spending cap in capital expenditures to take a Bonus Depreciation of 100%, as of 2018, on the amount that exceeds the above limit. Bonus Depreciation is generally taken after the Section 179 Spending Cap is reached. The Bonus Depreciation is offered for both new and used equipment. Using Section 179 with an Equipment Lease or an Equipment Financing Agreement could just be the most profitable decision a business makes this year. The taxes saved with the deduction will almost always exceed the cash spending for the year when combined with a properly structured Equipment Lease or Equipment Finance Agreement using Section 179’s full deduction. This opportunity allows businesses to make a direct impact on their bottom line — opening up the ability to bring on new tools such as equipment or software. Businesses that either purchase, finance, and/or lease new or used business equipment during tax year 2018 are eligible for the Section 179 Deduction (as long as they spend less than $3,500,000). There are basic guidelines in place that describe what property is covered under the tax code. It should also be noted that to qualify for the Section 179 Deduction, the equipment and/or software purchased or financed must be placed into service between January 1, 2018 and December 31, 2018. Stimulus Bills that truly help small and medium size businesses are few and far between — Section 179 is one of them. Although large businesses also benefit from Section 179 or Bonus Depreciation, the legislation’s original intention was to provide valuable tax relief for smaller businesses. 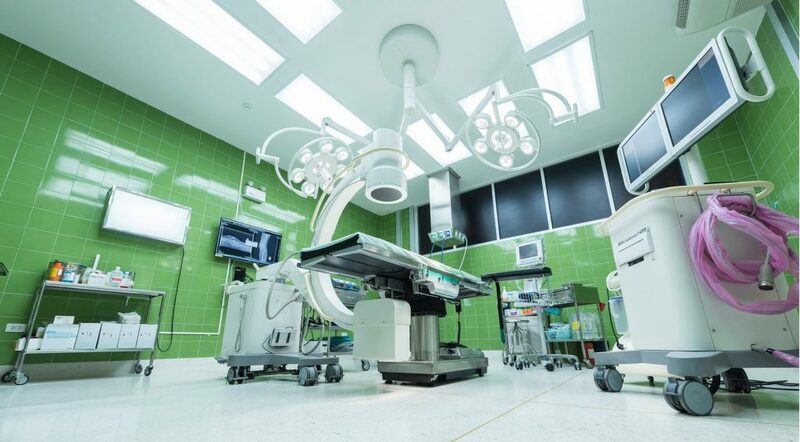 Auxo Medical’s goal is to save our customers money by offering refurbished and reconditioned medical equipment that is just as reliable as brand new equipment, but not as heavy on their P&L statement. Using Section 179 in conjunction with leveraging refurbished equipment is a one-two punch to keep costs down. To learn more about how Auxo Medical can support your company’s needs, please contact us by phone or email and we would be happy to answer your questions.